One of the founders of the “Hepatology” journal is the charitable foundation “S.P.Botkin Antihepatitic Center” (President of the foundation – O.Z. 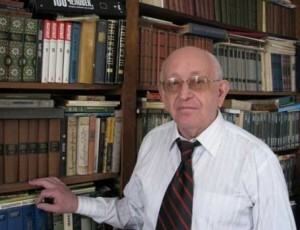 Stakhiv, vice-president – editor-in-chief of the journal B.A. Herasun). The objective of the foundation is attraction of the public for rendering assistance both, to the patients and to the establishments engaged in resolving the problem of hepatitis. One of such goals is financial aid to the laboratories of medical establishments, particularly, purchasing of high quality diagnostic test-system. The Foundation supports also perspective scientific projects to resolve the problem of chronic viral hepatitis. Unfortunately, opportunities of the Foundation as of today are limited, charity is not very popular in our country. The editorial board of the journal and the administration of the Foundation are hoping for the support of our readers. You can get information on issues of collaboration with the Foundation from the journal’s site www.hepatology.org.ua or from the site of Danylo Halytskyy Nationla Unaversity of Lviv and also via telephone (032) 276 9220. As to consultation in diagnostics and treatment of various diseases of hepatobiliary system, particularly viral hepatitis, you can turn to the journal’s website. Our experienced specialists will give answers your questions; answers to the questions concerning current and complicated problems of hepatology will be published in our journal. The editorial board plans to publish supplements to the journal dealing with the issues like “ Life during antiviral therapy against hepatitis “C”? “ Psychological support of the patient with viral hepatitis in the family”, “ Peculiarities of the regimen and the diet of a patient with chronic hepatitis and cirrhosis of the liver”, etc. The editorial board will be grateful to all who will give their proposal and recommendations pertaining to the subject of publications in the journal. “Hepatology” journal collaborates with the editorial board of “World of viral hepatitits” (Moscow, Russia), editor-in-chief Mykhailov M.I. – MD, professor corresponding Member RAMS, Head DU NDI of poliomyelitis and viral encephalitis of Chumakov M.P, RAMS. The Hepatology Journal is in close cooperation with Russian Journal “The World of Viral Hepatitis” (Moscow, Russia) and its chief editor Mikhail Mikhajlov (M.D., professor, active member of Russian Academy of Medical Sciences). According to the annual evaluation and ranking of scientific journals made by scientometric indexer "Index Copernicus", Journal "Gepatologia" was scored with 60.44 points!